Aquarian Theosophist, Portugal, 255 pages, 2013. Tsong-kha-pa gave the impulse for the first special effort by the end of 14th century. Since then human progress has had a hundred-year pace of systoles and diastoles, and everyone who observes world history will be able to distinguish them. But time is more than simply cyclic. It has cycles upon cycles, bigger and smaller, and there is a close, continuous interaction among them all. From Tsong-kha-pa’s time to the year 2000 we have had seven end-of-century efforts. Every number seven indicates danger and opportunity, and it typically means a change in consciousness. It is not by mere chance, then, that the 1975-2000 effort - the seventh of its kind - led us into the closing years of the transitional twilight / dawn between the whole Pisces age and Aquarius age. At this point, one must examine an apparently uncomfortable question. Why did HPB and W.Q.J. make such public revelations as to the next Messenger? After all, as the New Testament saying goes, “one must not let the left hand [path] know what the right hand [path] does” (Matthew, 6: 2-4). One possible answer to this has at least two aspects. There is no reason to believe that - in making or authorizing those statements - the Masters and HPB gave out to the public all of their action plan from 1875 through 2075. HPB did not give details of the victory of truth over falsehoods which she predicted for the 21st century. The prophecy about the next messenger must be seen as a hint and at the same time a blind. One should see it as a partial indication given about future events. It was probably designed and destined to be interpreted with the help of higher intuition by those concerned, and implying various shades of meaning, along different moments and situations of the cycle. During her 19th century mission, HPB set the tone for the whole transition into the new cycle. 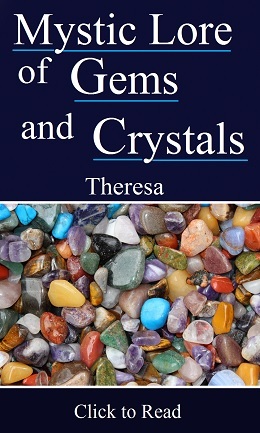 In addition to that, she also spread all over her vast written work thousands of hints which have been and will be useful to generations of readers and theosophical workers, past and future. This is an important point indeed: it was, among other things, an insurance against the dangerous fireworks of pseudo-theosophy. This aspect of the publicity question can be further clarified as we resume our examination of how the idea of the “next messenger” evolved across the years. Meanwhile, Annie Besant had not forgotten the idea of a “second coming”. If it didn’t work with HPB, it could be tried with someone else. Soon after Olcott died in 1907, Besant got busy organizing the spectacular “reappearance” of Lord Christ. The delusive versions of the theosophical movement are but the husk (though too thick at times) which surrounds the real and living organism. Throughout the difficult part of the century, independent students preserved a small, active nucleus of universal vision and brotherhood, and this silently inspired other individuals from around the world to follow the original lines of work. Knowledge of the cyclic law and its predictable tidal waves of karma offered a beacon light to theosophists, as they looked into the future. Year after year, the anticipation about 1975 was kept alive and seemed to grow. A new torch-bearer would possibly appear in the last quarter of the century, and he might lead the movement into a higher level of progress and understanding. When the magical year of 1975 finally arrived, vast sectors of the movement seemed to be taken by a feeling of enthusiasm. That would be an embarrassing question for some. But the years were already passing by and the spectacular return had not happened. 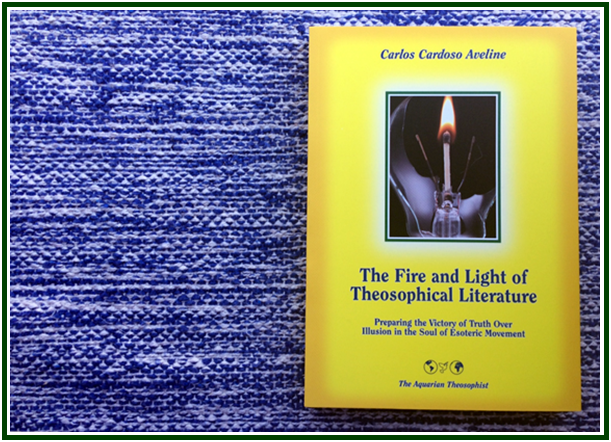 The new wave of theosophical vitality remained visible during the first half of the 1990s. After that, the life of the movement started to ebb away, and at some point by the year 2000 individual theosophists began to feel an undeclared void. From that moment on, negative aspects of collective karma quickly emerged, inside and outside the theosophical movement. In 2001, the terrorist attacks of September 11 in the United States served to symbolize the change of direction in human karma. As we approached a change of planetary dimensions, the karmic cloud over some quarters of the movement - which radiated despondency to the honest students and love for power to the cunning - was getting thicker. Difficulties are to be expected in any beginning of century. Yet one may still have a couple of surprises, long before the year 2075. All is not said about karmic cycles. Other and larger circles of time overlap and overshadow the short term, hundred year cycle. It is well-known that HPB’s mission prepared the close, in 1897-1898, of the first 5,000 years since the death of Krishna in 3102 B.C.E., which was the starting point of Kali Yuga. In August 1931, an article in “Theosophy” magazine called attention to the fact that, right in the middle of these two points in history (the death of Krishna and HPB’s Mission), Lord Buddha was born in India by 621 B.C.E. Gautama Buddha lived 2,500 years after Krishna’s death and some 2,500 years before HPB’s death. Pythagoras and Lao-tzu were broadly contemporary to Buddha, and gave extra strength to that middle point of the 5,000 years cycle. Thus the completion of HPB’s mission in the 19th century closed two cycles, one of 2,500 years and the other of 5,000 years. Her work has had a strong impact in both East and West, and its influence is still evolving. Due to the principle of overlapping of different cycles during transitional times, figures and numbers do not always have to be mechanically precise. HPB was supposed to live until 1897, for instance; but there was no actual need for that, and she didn’t. This statement could only make sense if there were other large cycles related to 1975-2000, which could add to its significance. And they exist. Using a rather obscure and indirect language, in a modest footnote to an article, HPB gave the precise dates and duration of recent astrological ages, and revealed that the year 1900 was to be the starting point for the new Aquarian Age. She wrote that one of the “several remarkable cycles” coming to a close in the end of 19th century was “the Messianic cycle (....) of the man connected with Pisces”. By writing in 1888 and referring to “twelve years”, she was clearly pointing to 1900 as the limit between the two ages. The chronological limit is rather an abstract point, though. Overlapping is a law, as to succeeding cycles. Different ages live together side by side for quite some time. The transition of astrological ages is a complex process, and its effects take a few hundred years to become clearly visible. It is said in “The Secret Doctrine” that each yuga is preceded by a period of “dawn” called Sandhya, which has one tenth of the age’s duration. And the cycle is also concluded by a period of twilight, called Sandhyamsa, whose duration is the same as the period of dawn. If we follow the law of analogy, this yuga information can give us the measure for the main overlapping period between two smaller ages of 2155 years each. We thus have a closing twilight or Sandhyamsa for the Pisces age of 215 years, and an opening dawn or Sandhya for the Aquarius age also of 215 years. As there are no pralayas or obscurations in such short periods of time as 2155 years, the same period which is twilight for Pisces may also be seen as the period of dawn for the Aquarius era. If 1900 was the year when the new age began, as stated by HPB, it must be the middle point, the mathematical turning point in the twilight / dawn process. In this case, we must divide the 215 years in two periods of approximately 107 years and a half, and put one of them before the year 1900. The other half must be projected for the period after the year 1900. Going back 107.5 years from September 1900, one finds the year 1793. It is the time of the French Revolution (1789-1793), which had been prepared by the North American Revolution started in 1776. All over the world, colonialism began to fall. It was the time of the emerging human rights, liberty of thought, universal brotherhood; and these values are as much Theosophical as they are Aquarian. This was the starting point for the 215 years transition period. On the other hand, when we add 107.5 years to September 1900, we find 2008, a moment in history around which several levels of unprecedented changes may have begun. In addition to the twin concepts of sandhyamsa (or twilight) and sandhya or dawn, we must remember that one of the occult cycles mentioned in the “Mahatma Letters” is precisely 107 years. This is precisely half the twilight in the case of the 2155 year cycle. Such a piece of information confirms that “something important” must have ended for good around 2007-2008, even if not everyone is able to see it by now. It probably is the close of the whole transitional period of 215 years between one age and the other. To add more strength to the idea that from 2008 the twilight / dawn is basically complete, we had in the sky, around the same time, the co-regent of Pisces, Neptune, slowly transiting the sign of Aquarius, while the co-regent of Aquarius, Uranus, visited Pisces. This symmetrical event is the perfect symbol for a change in command: the scepter of power changed hands in the sky. From 2012, having completed its 2155 year mission, Neptune is “back home” in Pisces, its own sign, and closing its “minor cycle” around the Earth. At the same time, his brother Uranus, the Aquarian co-regent, transits the pioneer and renewing sign of Aries, thus vigorously opening its first round or cycle through the terrestrial Zodiac after the change in command fully opened the Aquarius age. Neptune and Uranus are considered “ambassadors” of the galaxy, and HPB wrote that Neptune does not really belong to our solar system (SD, I, 102 fn.). She also said that Neptune and Uranus are considered warriors and architects. It is possible that by adhering to the solar system with their “weight” and magnetism they gave a final touch to its finely tuned balance and equilibrium (see SD, I, 101-102). Mathematically and astronomically, their orbits are not only closely linked to each other. They are intimately connected to that of Pluto, another “ambassador” - and one who brings us major structural changes since the significant year of 2008 (Pluto in Capricorn, the sign of structures). There is also the question of the 70-year period. HPB said that every cycle must be a multiple of seven (SD, I, p.36). Tsong-kha-pa started the end-of-century efforts in the 14th century, and we are now at the 21st century, both being multiples of seven. HPB added that the number seven is the great number of the Divine Mysteries, while “number 10 is that of all human knowledge (Pythagorean decade)”. Hence the number seventy, which is a combination of seven and ten and a multiple of seven, must be a significant figure. In 1875 the public effort for universal brotherhood was started, and if one adds 70 years to that, one finds 1945, the year when, precisely on May 8th (the anniversary of HPB’s death), democracies declared that the war had been won in Europe. They then started preparing the United Nations, whose headquarters were established in New York, the same city where the movement was founded. And if one adds other 70 years to 1945, one gets to the year 2015, when the “change of command” between Neptune and Uranus (with Pluto’s assistance) is not only complete since 2012, but producing effects. There is a cautious note, though, to add to the prophecy made by HPB that true occultism will have a final victory before the end of 21st century. This warning implies that, depending on how things would evolve, we might experience such a radical change as a civilization that a new way of counting time would be adopted in the 21st century. Yet this is a hint and a possibility. The principle of overlapping allows different karmic possibilities to remain open and side by side, for some time during the gradual meeting of two Ages. What to think, then, of the fact that a great messenger did not visibly appear at the expected time and in the expected way? Perhaps there is a lesson on anthropomorphism in that. All of HPB’s philosophy was built on the principle of impersonality and on the need to transcend the instinctive psychology of the flocks, the state of mind which invites us to blindly look for a pastor, a shepherd, so that we can automatically follow him. Esoteric Philosophy is about finding inspiration in one’s own higher self, and this fundamental idea - the true basis for conscious brotherhood - remains our test as a movement. 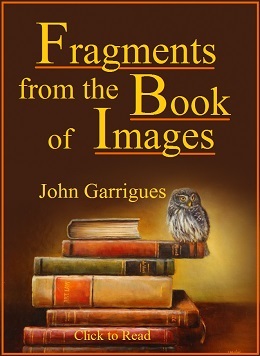 For the quotation above, see “Collected Writings of H.P. Blavatsky”, TPH, USA, volume XIV, p. 431. Read a biographical text on Tsong-kha-pa in “Collected Writings of H.P. Blavatsky”, vol. XIV, pp. 573-575. HPB wrote: “Occultism must win the day (…) before the end of the twenty-first century ‘A.D.’.” (“Collected Writings”, vol. XIV, p. 27.) A complete quotation of her words will be found in Chapter 28, “The Bright Side of Saturn”. “The Judge Case”, by Ernest Pelletier, Edmonton Theosophical Society, Canada, 2004, Part II, p. 135. “The Closing Cycle”, an article by W.Q. Judge. See “Theosophical Articles”, W.Q. Judge, Theosophy Company, 1980, volume II, p. 153. “The Occult World”, A. P. Sinnett, first edition 1884, Appendix to the Fourth Edition, Kessinger Publishing Co., Montana, USA, 160 pp., see p. 158. “The Centenary Cycle”, an article in “Theosophy” magazine, April 1942, p. 267. See Letter 46, first series, in “Letters From the Masters of the Wisdom”, TPH, 1973 edition. “Old Diary Leaves”, Henry S. Olcott, T.P.H., Adyar, India, volume III, first printed 1904, 460 pp., 1972 edition, p. 279. See Chapter 15, “The Making of an Avatar”. “The Theosophist”, Adyar, India, Memorial Issue, May 1991, p. 404. “The Hundred Year Cycle”, an article in “Theosophy” magazine, August 1931, p. 451. “Collected Writings of H.P.B.”, TPH, USA, volume VIII, p. 174, footnote. “Secret Doctrine Questions & Answers”, by Geoffrey Barborka, Wizards Bookshelf, San Diego, USA, 2003, 197 pp., see p. 100. “From the Note Book of an Unpopular Philosopher”, by HPB, in “Lucifer” magazine, September 1888, page 84 in the edition of Kessinger Publishing Company. “The Secret Doctrine”, HPB, Theosophy Co., Los Angeles, volume II, p. 308, footnote. See also “Theosophical Glossary” (Theosophy Co.) entry on “Yuga”; and “Encyclopedic Theosophical Glossary” (T.U.P. ), entry on “Sandhya” or “Sandhi”. “The Mahatma Letters to A. P. Sinnett”, T.U.P. edition, Letter XLVII, p. 272. See the last sentence of part II in HPB’s text “The Esoteric Character of the Gospels”. The sentence can be found at volume VIII, p. 205, in “The Collected Writings of HPB” (TPH), or at page 193, volume III, of “Theosophical Articles”, HPB, Theosophy Co., Los Angeles.